Critics of Indian Writing in English share the world-wide tendency of regarding the short story as the step-child of literature, although, next to poetry, this form is the most suitable to record the variety and nuance of Indian experience. Governed as it is by tradition, Indian life has little place for individual dictates. The result is that whatever experience it yields is predictable, not unusual or dramatic. Variation is provided by details within this pattern. There are thus moments of dramatic or lyrical or tragic intensity, not a sustained experience. Such moments offer insights into human nature. The short story with its concentration, brevity, sensitiveness can better record these moments than the broader canvas of the novel. The truth of this argument is borne out by the fact that the Indian novel in English has dealt with only a limited number of themes, such as the national movement for independence, the contrary influences of tradition and Westernization on an individual, colonialism and the place of faith in Indian life. The Indian short story in English has covered a wider area of experience. The settings of the stories have revealed more of this vast country than the novels or plays. The variety of types and characters that appear in the short story are as infinite as the situations and the emotions the stories evoke. 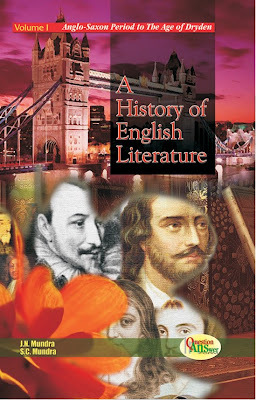 Inspite of the advantages it has over other literary forms, inspite of its considerable achievement, the Indian short story in English has been neglected by critics. The aim of this book is to draw attention to this genre. The book is an introduction to and an historical and critical survey of the Indian short story in English from its beginnings upto 2006. Its development over this length of time divides itself into a number of periods on the basis of common tendencies. The usual approach of the critics - since the critics tend to regard the short story as a side activity of the novelists - has been to discuss a few stories individually. I have tried to look for but not impose a pattern on a short story writer‘s body of work. The scope of this book is limited to stories collected and published in book form. Published but uncollected stories even with definite merit have not been dealt with for the simple reason that they are difficult to classify. Retold stories and folk and fairy tales have not been discussed. Nor has the long short story, also known as the novella, conte, the novelette, on the grounds that it forms a different genre. 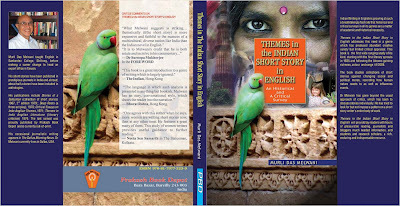 Translated stories have been excluded: they do not represent the direct expression of an Indian sensibility in English. For this reason, Tagore’s short stories have not been examined, although his influence, which was considerable, has been noted. Even after these exceptions have been made, a sufficient body exists to merit critical attention. I owe a debt of gratitude to a number of a number of people. I acknowledge it here. Dr Amaresh Datta helped me to understand the place of short fiction in Indian Literature and thus gave me a sense of perspective about this genre. He was the Head of the English department, Guwahati University at that time; later, he was deservedly chosen to serve the prestigious Sahitya Akademi. Dr Gobinda Prasad Sarma, also of Guwahati University, made it possible for me to gain access to material I would have had difficulty in obtaining. The critic, short story writer and novelist, H.E.Bates instilled in me a love for the short story which will never die. I takethis occasion to thank Dr. Suroopa Mukherjee for the Foreword and her acts of kindness. Reading the stories I have discussed in my book gave me great joy. This joy will multiply manifold if my book can convince the reader to turn to the stories themselves. All Things considered, then, the chief attraction of Melwani's work remains the portfolio on writers and their short stories that this collection compiles. This aspect of the collection is both wide-ranging and painstaking, bringing to notice, among others, several obscure, forgotten or little-known works. In the process, it does enough to spotlight the short story genre as an extant and expanding archive deserving serious research. Ultimately, it is for this, that Indian-English Stories wins recommendation.